Has The Walking Dead Jumped the Shark? If they bring Glenn back after Sunday’s gruesome demise–which seems increasingly likely in lieu of his absence from “The Talking Dead”, the “In Memoriam” segment, and the fact that he is under contract for next season–then I must say that the show has officially jumped the shark. 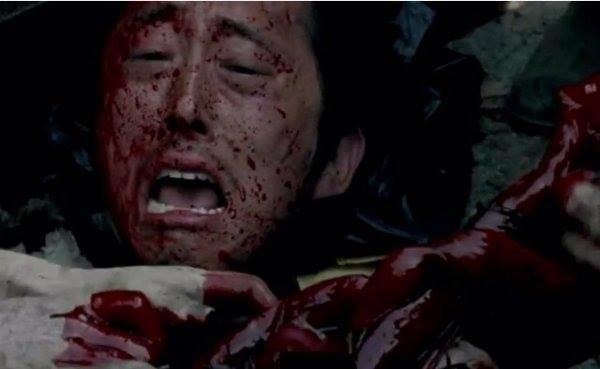 As painful as it was, Glenn getting devoured in first person point of view by walkers breathes life into a show that, in my view, is getting repetitive, stale, and too safe. I have two ideas for an ending to the series and, no, they aren’t Disney endings. One involves Michonne as the last survivor, and the other involves Rick playing the role of Moses being forbidden to enter the Promised Land. If AMC is reading this, give me a call and I’ll write you both scripts! LOL. Enter email address to receive notifications of new chapters by email. Software engineer, postlibertarian, sci-fi fan, Duke CS/Econ grad, IBMer. I blog about economics, policy, technology, and the impending zombie apocalypse. The absurdity of the new era. This site hosts many of my works. Thanks for reading! - THE CONTENT OF THIS BLOG IS OF PURELY FICTIONAL NATURE UNLESS EXPLICITLY LABELED OTHERWISE. The Liberty Loving, Mouthy Millennial! Looking for Survival Gear Reviews, Skills and Tips? The Survivalist Blog is the best Survival Blog for information on prepping and being prepared for the worst.